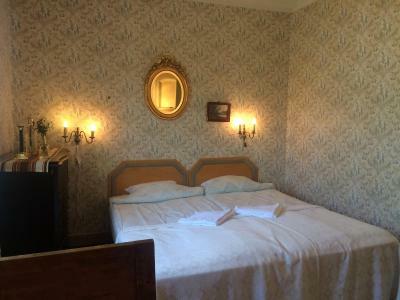 Lock in a great price for Guesthouse Enigheten – rated 8.7 by recent guests! 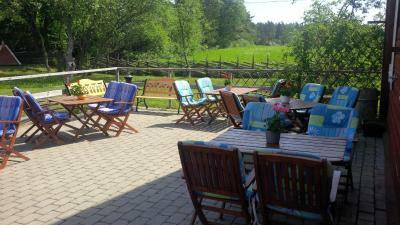 It was my second stay at Enigheten - Me and my daughter really loved it! Comfortable beds and a really nice atmosphere there. Good breakfast included. The staff and the owner Carl-Anton are really nice and friendly and they do everything to make your stay comfortable. 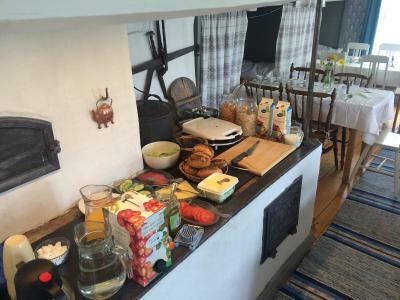 If you stay there - you get: a relaxed atmosphere- sauna , if you want- you can cook your own little meals in the small kitchen ( for all guests) -but you better eat at the restaurant- really tasty,good fresh food is prepared for you. Good wines! I really recommend this place! Nice breakfast. Lovely to read about the heritage of the site. Lovely setting, comfortable beds, good food and friendly staff. Hieno vanha miljöö! Siistiä. Elokuussa jo viileää, sähköpatterit huoneessa. Etukäteen ilmoitettu ruokarajoitukset, ne otettu hyvin huomioon. Todella ihana paikka kaikinpuolin. Kaunis pihapiiri, tyylikkäästi entisöidyt huoneet. Erittäin mukava henkilökunta ja herkullista ruokaa. 10+ Varmasti tulemme uudestaan ja suosittelemme muillekin! Ruoka oli erinomaisen hyvää, silloin kun sitä oli saatavilla..
Tunnelmallinen paikka hyvällä sijainnilla.. Sauna- ja uintimahdollisuus plussaa. Sauna oli uusi ja siisti. Henkilökunta erittäin ystävällistä. Guesthouse Enigheten This rating is a reflection of how the property compares to the industry standard when it comes to price, facilities and services available. It's based on a self-evaluation by the property. Use this rating to help choose your stay! 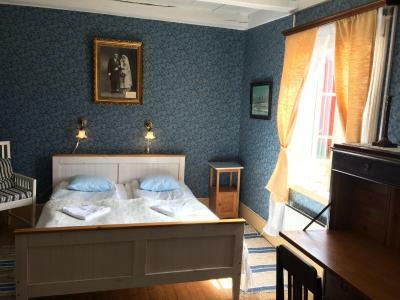 The guest rooms at Guest house Enigheten are housed in buildings dating back to the 1700s. All guest rooms have shared bathroom facilities. 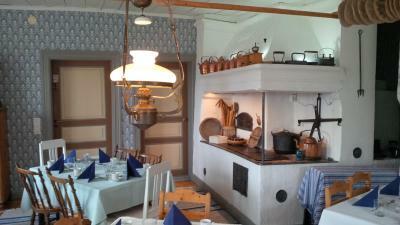 Guests can try Scandinavian cuisine in the charming dining room, which overlooks the picturesque surroundings. General facilities at Enigheten include a guest lounge and a communal kitchen with microwave and refrigerator. A children’s playground as well as grill hut are also found on site. 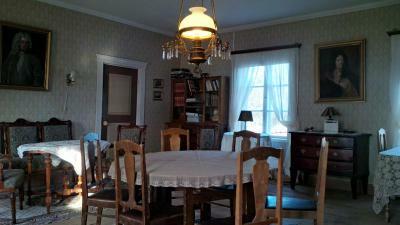 Guest house Enigheten is within walking distance of local shops, restaurants and museums. In addition, the surrounding area offers excellent hiking opportunities. Guests can play a game of boules or tennis nearby. 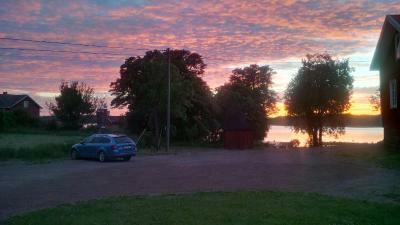 This property also has one of the top-rated locations in Föglö! Guests are happier about it compared to other properties in the area. When would you like to stay at Guesthouse Enigheten? Individually decorated room with shared bathroom facilities. Spacious room featuring a seating area. Guests have access to shared bathroom facilities. 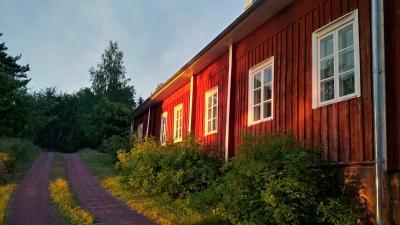 Enigheten (The Unity) is a historic guesthouse in the village of Degerby, Föglö. 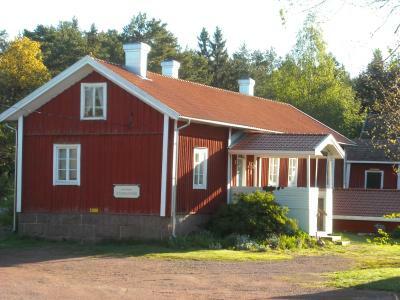 The first guesthouse was built by orders of the Swedish king Gustav Adolf in 1625. The current buildings were constructed in the 18th century after the old guesthouse burnt down. The guesthouse was also used as a place for a court of law for centuries, handling disputes and criminal cases from many of the surrounding islands. The last court convened here in 1944. For some time in the 20th century the place laid barren, until it was given to the local historical society and renovated. In 1985 we opened our doors again. In 2015 we completed the renovation of our own little pier to receive guests and visitors with their own boats. Welcome to stay in this historical environment! House Rules Guesthouse Enigheten takes special requests – add in the next step! Guesthouse Enigheten accepts these cards and reserves the right to temporarily hold an amount prior to arrival. Guests arriving after 18:00 are requested to contact the hotel in advance. Contact details are included in the booking confirmation. Super clean property, comfortable room. 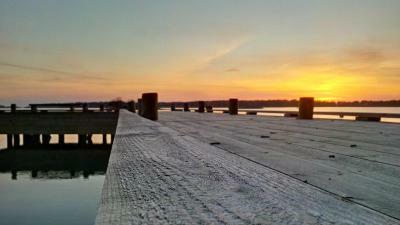 Not easy to book the sauna. Genuine surroundings and nice atmosphere. As with being an old court house, it was not designed with comfort in mind, but still works well for the purpose of accomodations.